Well, the mystery of Binkley's Pond has been well solved, which is what happens when history gets a hand from Geography and Earth Science expert in hydrology Dr. Mike Waddington of McMaster. 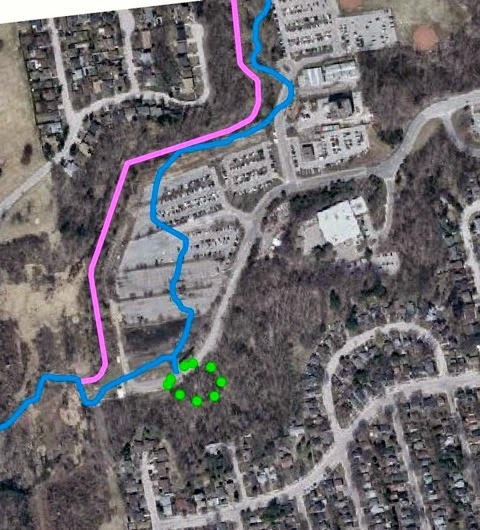 Here (above) is his mapping using a 2014 aerial photo and showing the original stream channel of Ancaster Creek in blue, the current channel in pink, and in green, the location of Binkley's pond. McMaster students in Dr. Waddington's class will be doing hands-on research in this area to gather more data about the hydrological history of this rare cold-water creek/habitat. The larger goal is to rescue and rehabilitate sections of the parking lot to recreate cold water marsh, adding to the overall health of the Cootes Paradise region, in a project known as McMarsh. 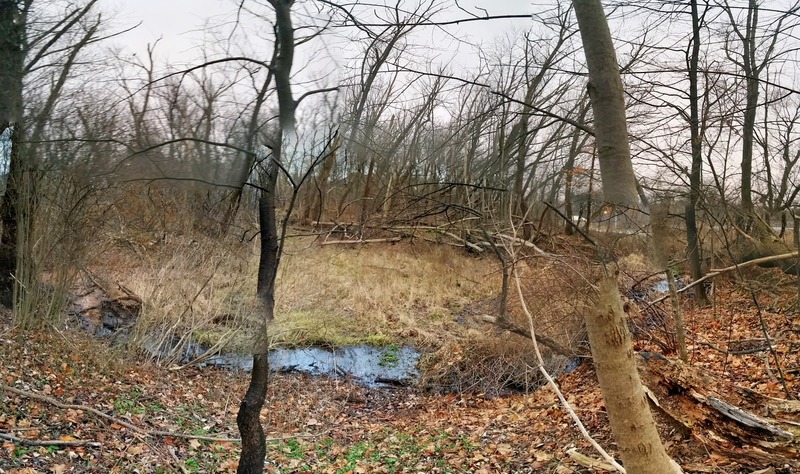 We consider the case of Binkley's Pond a mystery officially solved, case closed!